The Convent of Mercy and Academy of Mary Immaculate was founded in 1857 and consists of a number of buildings constructed over a period of thirty years. The first two buildings to occupy the site were two almost identical regency houses erected in 1850 to designs by architects Newson and Blackburn for John Watson and Edward Wight, merchants in partnership. In 1853 the northern house, belonging to Watson, was purchased by Dr James Goold, the first Roman Catholic Bishop of Melbourne, for use as his official residence. 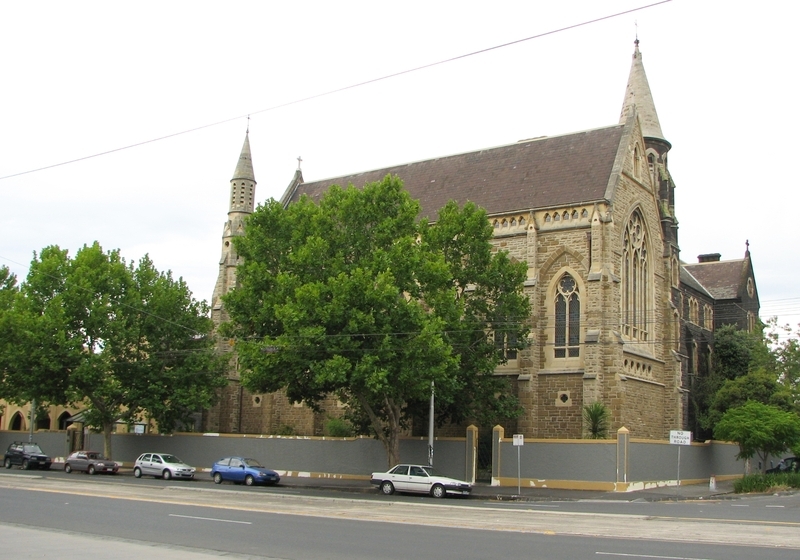 In 1857, Dr Goold invited Mother Ursula Frayne of the Sisters of Mercy to establish a convent and school in Melbourne. To enable the order to establish their convent, Dr Goold sold them his house and in 1861 the sisters acquired the adjoining house and converted it to a school. 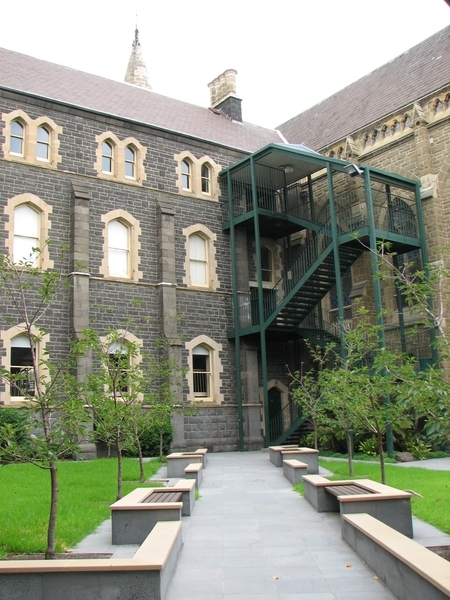 Additional bluestone wings were added between 1858 and 1863, a three-storey bluestone classroom wing was built along Palmer Street in two stages between 1869 and 1881, and a sandstone memorial chapel was built in memory of Mother Ursula on the corner of Palmer and Nicholson Streets in 1887. The Convent of Mercy and Academy of Mary Immaculate is of historical, architectural and social significance to the State of Victoria. commencing her work in Melbourne, Mother Ursula had established the first mission of the Institute of Mercy outside Ireland, at Newfoundland, Canada, in 1842, and in 1849 had established the first secondary school in Western Australia. Her body, and that of Mother Xavier Dillon, are buried in the Chapel beneath a Celtic cross of white marble. 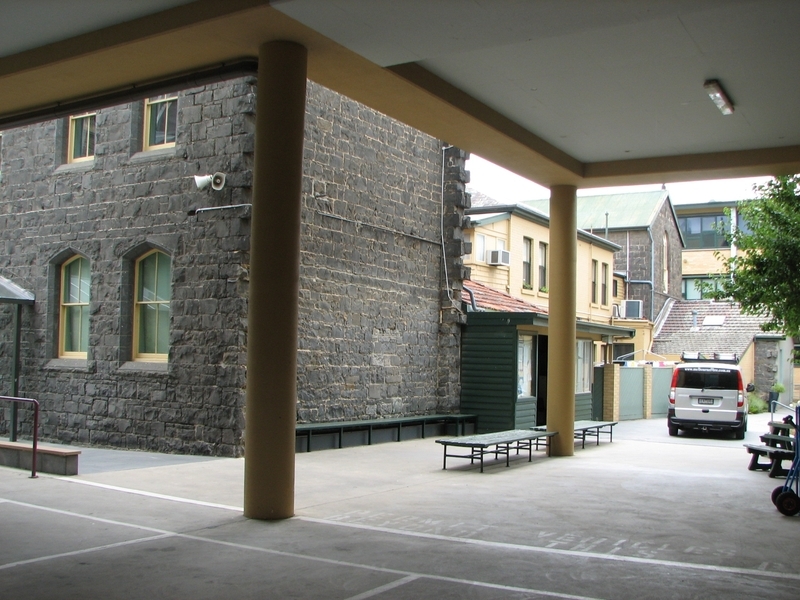 One of the original houses on the site is of historical significance as the residence of the first Catholic Bishop of Melbourne and as the first building of the Convent. The Convent of Mercy and Academy of Mary Immaculate is of architectural significance as a collection of largely intact, elegant 19th century religious buildings, including two of the earliest stone houses in Melbourne, and for its association with important figures in the history of Victorian architecture. The architects associated with the development of the complex were all men of great importance to the architectural history of Victoria. Newson and Blackburn, who were responsible for the original two houses, were notable architects of early Melbourne, and responsible for several school buildings. It is believed that William Wardell was responsible for the 1863 school wing, as it is typical of much of his ecclesiastical work of that time and similar to his Christian Brothers College in Victoria Parade, East Melbourne. The three-storey bluestone Palmer Street school wing, built in 1871-81, seems likely to have been the work of Leonard Terry and possibly William Wardell (the two were associated with other Catholic Church projects). 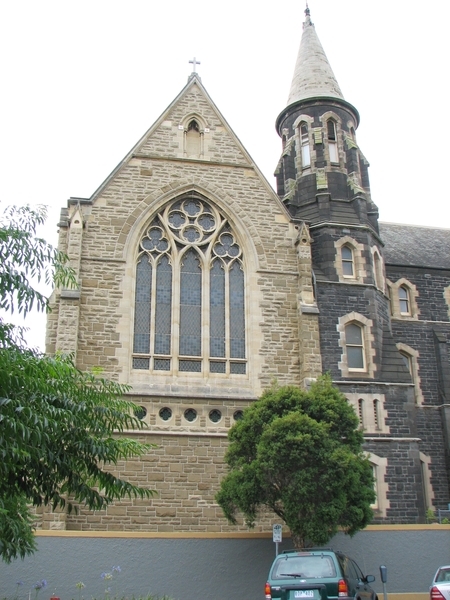 The Chapel, blessed and dedicated on 26th March 1889, was designed by Reed Smart and Tappin, who were also responsible for the Convent of the Good Shepherd in Abbotsford. Each of the buildings is significant for its architectural qualities and the way in which it integrates into the whole. 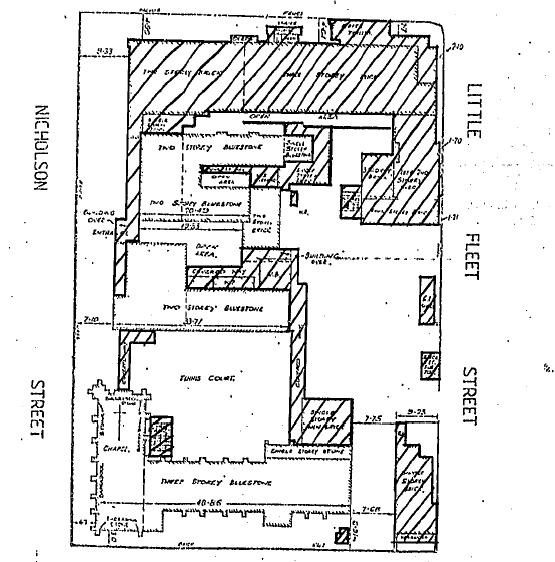 The manner in which the architects designed their additions to the complex displays the important variations in architectural philosophy prevailing in the 19th century. 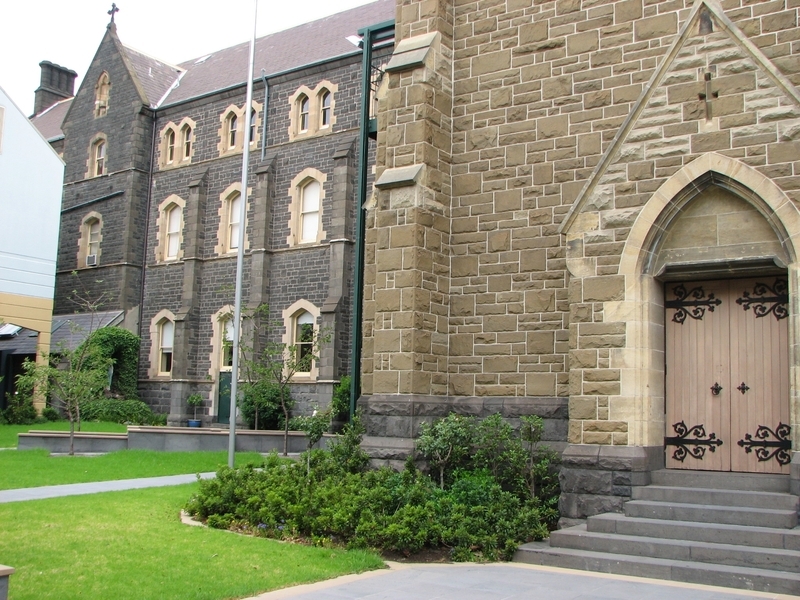 The Convent of Mercy and Academy of Mary Immaculate is of social significance for its long-term and continuing association with Catholic education in Victoria. 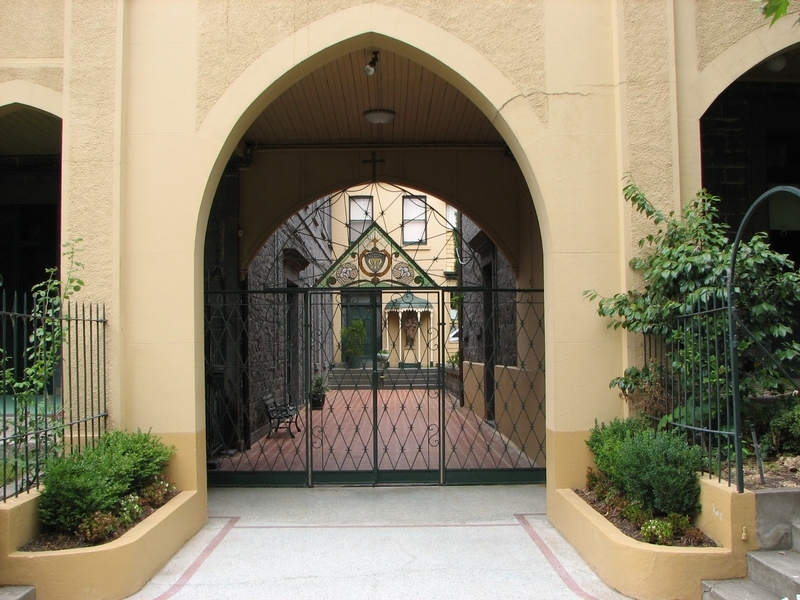 The Academy was the first Catholic girls school in Victoria and continues its educational function today. Historic Building No. 507 Convent of Mercy and Academy of Mary Immaculate, 88 Nicholson Street, Fitzroy (excluding the buildings defined by the plan held on the files of the Department of Planning). Associated People: Arch/Design- NEWSON AND BLACKBURN; WILLIAM WARDELL; LEONARD TERRY; REED SMART AND TAPPIN.